I didn't want there to be a single line in the song that sounded vague. I started writing "Vyanjan" (which means the consonants of the Hindi alphabets) two months ago. It took me an entire month to write this song since it was really tough to use words starting with just one letter to make up an entire rhyme sequence and make sense at the same time. That amount of alliteration doesn't come easy. The concept of alphabetic rap is not new. There has been a similar experiment in English but nobody had ever tried to do it in any other language. 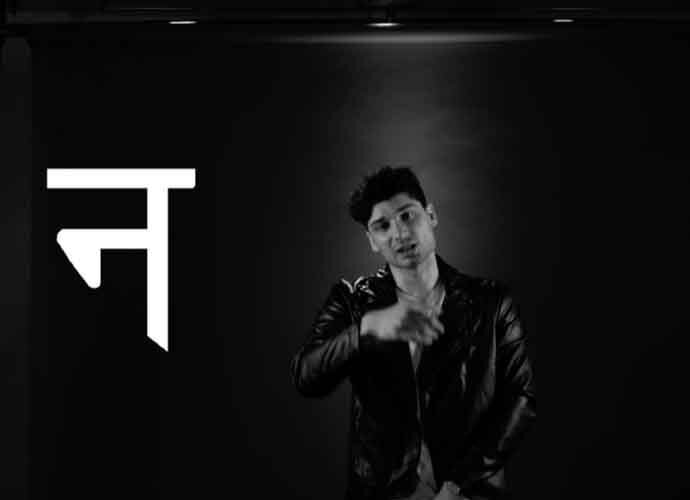 Since I write mostly in Hindi, I thought it would be cool to push the boundaries of song writing in an age where lyrics are usually very basic and devoid of any real meaning or effort. Now about the lyrics, I didn't know what direction my writing would take but as it turns out "Vyanjan" happened to be prophetic and equally haunting. For example, the opening lines "Kale kartoot karte kamine kamane ko, kale-dhan ke karan kangaal kiya kitne kisano ko". I wrote these lines way before the announcement on demonetisation drive but it just happened to fall in place with the current scenario at the time of the video's release. I have tried to make as much sense as I could with the lyrics though, I didn't want there to be a single line in the song that sounded vague. I hope I have managed to send a message and popular sentiment where ever I could, like "Vardi vaale veer, vo vatan ki vafadaari, vaise vartamaan mein varnbhed vinashkaari". These lines pay a tribute to the Indian Army and also reflect that the caste system is a malaise that must be uprooted from the society - all in one sentence. Hip-hop artist and founder of India's first indie hip-hop label, Right Now Ent.